Use the pattern instructions for the rounded neck version of the shirt, placing the material on a single layer of fabric rather than the fold to get the two halves. Make the collar edging from a spare scrap of fabric. Iron your Tri-wizard champions last name on the back of the shirt in an arch right above the center, making sure to follow the instructions on the package. Iron a star in the center of the back of the shirt, following the instructions on that package. 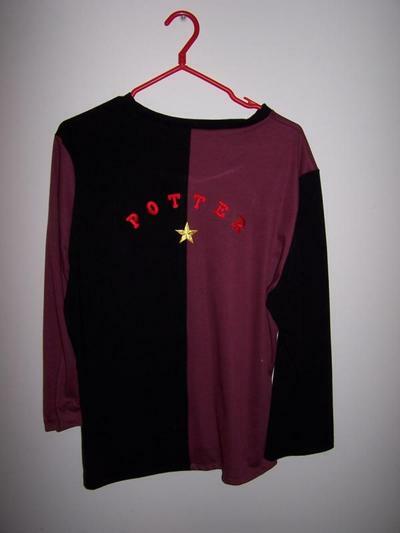 Find a good quality Hogwarts crest online and print it off on iron-on transfer paper. 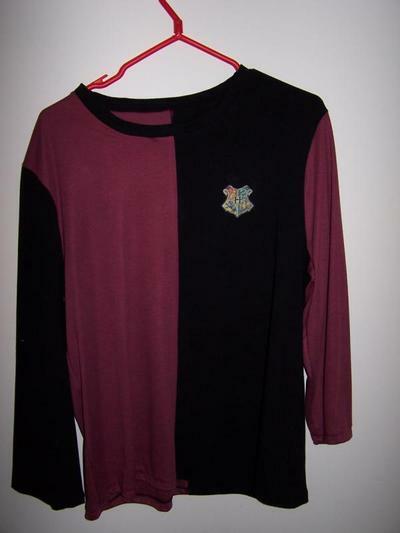 Following the manufacturer's instructions apply the Hogwarts crest to the front left hand side of the shirt. © hardhat_cat's tutorial was taken with permission from the Harry Potter Crafts Yahoo! Group.